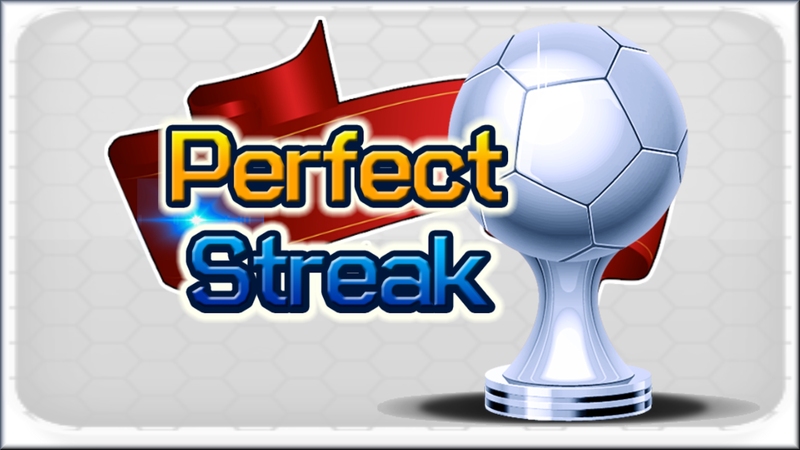 The Perfect Streak is a soccer themed arcade game where you use rhythm and timing to keep the computer from scoring goals all the while trying to maintain your Perfect Streak. 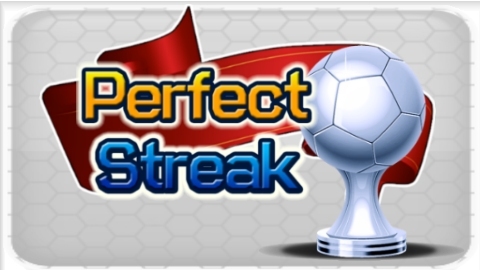 The Perfect Streak is an arcade soccer themed puzzle game where you use rhythm and timing to keep the computer from scoring goals. As you play you will have to master the rhythm and timing of each board as you get familiar with the computers trick plays. Good luck. It is definitely going to be a challenge. When you tap on each ball, you effectively “block” it, and the object of the game is to block all of the balls before they hit your goal hence the name - The Perfect Streak. One thing to remember is every time you block a ball it also counts as a block attempt. So to get a Perfect Streak, balls blocked need to equal block attempts. In this futbol game, you play on defense while the computer is the offensive player. As you play against the computer, it will use various trick plays across 15 matches to make it harder for you to get that Platinum Trophy. There are also opponents that will disrupt your game to mess up your rhythm and timing. As you play, most board will have 2 or 3 different ways that the match could be completed. So if you are the person who loves a challenge then this game will definitely give you that. Good Luck. And if you are the competitive type, share with your friends on Facebook and challenge them to see who can get a Perfect Streak first. * Enjoy music that makes you want to get up and dance. * Check out the dancing streaker - FREEDOM!